How does a good idea become a successful innovation? What does the word innovation even mean? How do innovations help us - and what risks do they entail? Answers to these and numerous other questions are provided by the InnoTruck - as the innovation ambassador of the BMBF, this double-decker exhibition truck will be travelling all over Germany throughout the year, giving easy-to-understand demonstrations of the roles that innova-tions play in our everyday lives. The exhibition is designed to appeal to a large cross-section of society, in fact to anyone who happens to be interested, but especially to young people and their parents and teachers. 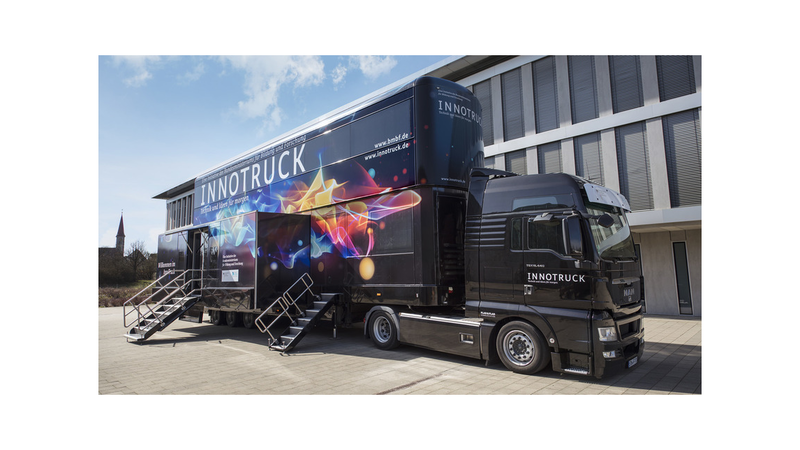 Through its InnoTruck initiative, the BMBF is seeking to encourage public debate on the question of how innovations in technology and science can be driven ahead in order to generate the greatest possible benefit. After all, an idea on its own does not constitute an innovation. For it to become an innovation, an idea requires the help of technology, as well as people who can research and further develop the idea, and ultimately transform it into products or services that will shape our society in a sustainable and positive way. And since technological developments can sometimes also have negative consequences, the InnoTruck initiative not only tells visitors about the opportunities but also about the risks involved, and the precautions needed to keep these to a minimum. 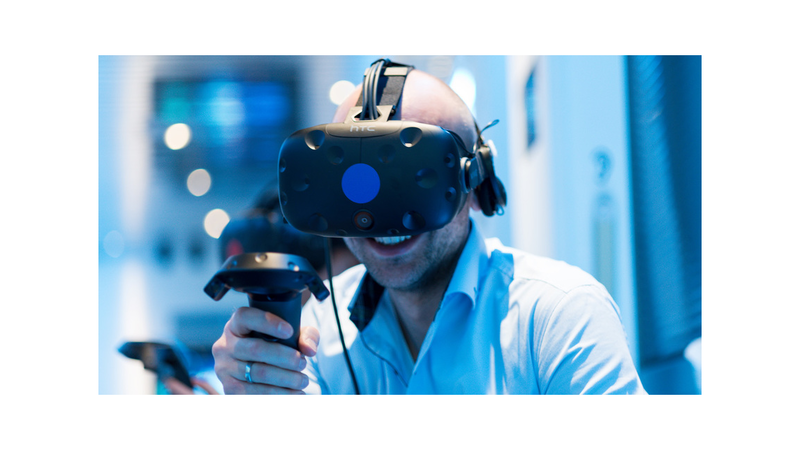 Arranged over two levels and across 100 m² of exhibition space, visitors can look forward to an exciting journey of discovery, ranging from research to technology and applications. 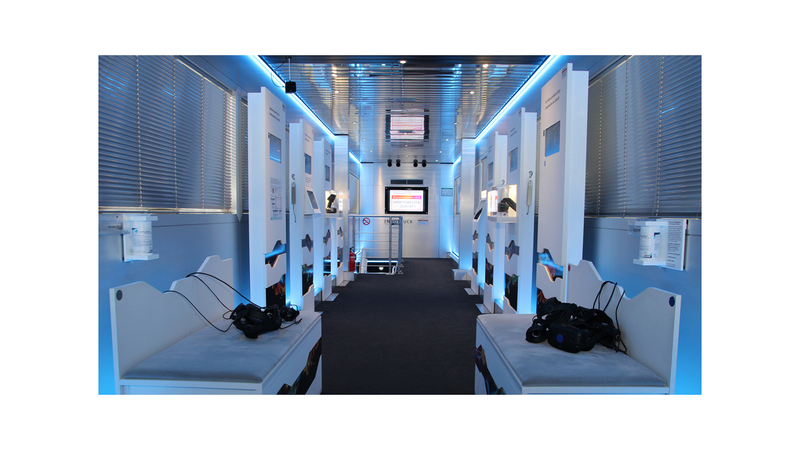 The exhibition in the InnoTruck presents each of these future tasks within its own dedicated zone and with the aid of 80 informative exhibits, most of them interactive. In this context, it will be made clear which technologies - and in which areas - promise to bring the most significant developments on the road to making Germany a leader in terms of innovation. Mobile initiative "InnoTruck - Technology and ideas for tomorrow"